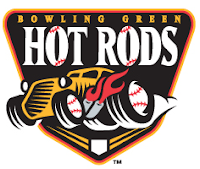 The Bowling Green Hot Rods were 4-3 on the week and have a 17-20 record on the half. With a little over a month remaining in the 2010 season, the Hot Rods are still in the hunt for playoff berth. The top two teams in the division during the second half will earn a playoff spot, joining Great Lakes and Lake County that clinched first half. With that in mind, the Hot Rods are fourth in the division, however Great Lakes are already in the playoffs. That puts the Hot Rods in third place in the race for the playoffs, three games back from Lansing in second and four games back from Fort Wayne in first. The Hot Rods hold a 2 1/2 game lead over the fourth place club South Bend. Transactions: Yorman Mayora added to roster from VSL Rays (7/28/10). Alex Colome placed on 7-day Disabled List (7/28/10). Brett Nommensen placed on temporary inactive list (7/29/10). Wilking Rodriguez activated from disabled list (7/29/10). Matt Stabelfeld transferred to Hudson Valley (8/1/10). Brett Nommensen activated from inactive list (8/1/10). Disabled List: Alex Colome and Will Kline. The Week Ahead: 8/4/10-8/6/10: vs South Bend Silver Hawks (14-22). 8/7/108/10/10: at Fort Wayne Tin Caps (21-16).